Matt Bodnar, host of The Science of Success Podcast, joins us this week for a very special interview about the psychology and science behind success in poker. By trade, Bodnar is a successful entrepreneur, so it’s no surprise to find him hosting a podcast on the subject of success. He’s a multidisciplinary, lifetime student of success and has spoken with experts from dozens of different fields about the science and mental game surrounding decision-making. These qualifications alone would make him a really interesting guest to discuss decision-making in poker, but Bodnar is truly the perfect guest as he is also an avid poker player. He’s researched the psychology of poker as well as strategy, and he had a ton of useful information to share with our listeners. Bodnar is a partner in venture capital firm who originally got interested in psychology by following Charlie Munger (Warren Buffet’s business partner). By studying these legendary investors to see what made them successful, he saw it was all about the psychology of success. As he developed a deep understanding of the science and psychology behind successful entrepreneurs and investors, it was only natural that through hard work he became one himself. The major parallel he observed between entrepreneurship and poker was to not be results-oriented, and instead adopt a +EV mindset. “There’s a huge amount of variance between making a great decision and actually seeing that as a positive result,” he says. You can make a great decision and still lose, or make an awful decision and still win. Bodnar says that’s one of the greatest lessons poker has taught him to apply to the business world. It’s about focusing on the process and making the right decisions as opposed to being obsessed with results. He references The Code of the Extraordinary Mind by Vishen Lakhiani as a foundational book in his understanding of goal-setting for success. Bodnar says that poker players can benefit from the clear post-game analysis that can be done on one’s hands to determine if one’s decisions were optimal or not. This kind of clear-cut post-analysis is lacking in many areas of business. But in poker, it’s easy to open up our favorite poker strategy software, run the numbers, and if we’re still confused, get help from poker buddies or a forum to check our lines. In this sense, it’s relatively easy to measure progress toward goals of improving in poker, should one take the time to do so. Bodnar thinks that ego is one of the most important things to understand, not just in poker but in life. “The distinction between the fixed mindset and the growth mindset” is a concept that he has used to successfully keep ego in check. This idea comes from the popular book Mindset: The New Psychology of Success by Carol Dweck. To put this in a poker context, Bodnar says the fixed mindset would be the belief that your self-image is static — you play tight, you are loose-aggressive, you are a novice or you are an expert in no need of study… these are all examples of the fixed mindset. The growth mindset is always being aware that you need to improve and are always seeking new challenges through which you can grow into the player you seek to become. A simple illustration of this dynamic appears in the book as an experiment with children who are given an easy test to complete, and then offered the choice of taking another easy test, or a more challenging test. Children whose egos are stuck in the fixed mindset will go for the easy test and the easy ‘A’, so they can prove to their worth to world at large (ego). The growth mindset child would take the more challenging test, only caring about improving and growing. With a fixed mindset, everything is about proving yourself to other people. The problem is that when you start making errors or mistakes, it’s very hard to admit as much. People with fixed mindsets really struggle with ego and admitting they have issues, and grow slower as a result. For growth-mindset people, everything is about learning and improving. Today is just a start. It doesn’t matter if you look good or even have good results. As long as you’re focused on learning and improving, you are winning. Bodnar talks about his own experience transitioning from pre-Black Friday sit-and-gos to today’s live cash games. One of the things that allowed him to open up his game and become a winning player again was his ability to have a growth mindset and not be afraid to lose while trying out new strategies and techniques. He was in always-learning mode, and as a result, any mistakes that were made nonetheless produced immeasurable value, versus a fixed mindset where mistakes would be viewed as setbacks. “In poker, there’s a drive to always be winning the most possible,” he says, and encourages players to instead focus on trying out new skill sets and strategies. “The battle against tilt begins way before you get on the felt,” says Bodnar. If you find yourself in the tilt spiral, you should get up from the table and stop playing. But the point is to avoid traveling down the spiral in the first place. And for that, you need to establish routines whereby you develop resilience. Of course, meditation is a skill that must be practiced like any other. But the benefits reach far outside of poker into everyday life. Who wouldn’t like to approach any challenge in life while incredibly focused and aware? “There’s a tremendous amount of research out there… meditating on some sort of regular schedule will literally change the biological structure of your brain over time and make it more calm, focused, more deliberate with more emotional control and stability,” he explains. Bodnar, like many of our coaches, are serious about meditation as +EV. Not convinced meditation will improve your game? Gripsed wants a word with you. Shaw asked Bodnar about how the science and psychology behind making decisions under pressure in poker. 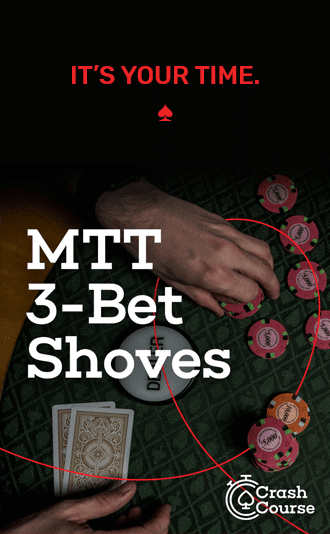 He cites SplitSuit’s advice in his Hand Reading Lab to visualize hand distribution on flops as a key aid to decision-making post-flop. At first, the adjustment was difficult, but now it is an intuition for Bodnar. On certain flops, he is immediately aware of roughly the number of sets, straights, flush draws, etc. are out there, and can further refine his range reading with the mathematical certainty of how any given flop hits any given hole cards. Bodnar makes another book recommendation: The Art of Learning: An Inner Journey to Optimal Performance by Josh Waitzkin, an incredible top competitor at chess who went on the become a martial arts champion as well. The entire book is about the psychology of performance. Waitzkin talks about being so practiced with the skills he exercised that the more complex calculations were on autopilot, and you can start to notice subtle distinctions and nuances because you unconscious mind is already processing so much. The more you practice mindfulness, the more you will grow into a winning player who can pick up on and exploit subtle information from the behaviors of other people. He talks about wanting to pick up every piece of information during every hand, not just the ones he’s playing. He can’t identify with players who are bored at the table because there is just too much profitable information out there to acquire and process. “You’re the average of the five people you spend the most time with,” is a quote Bodnar is fond of. If you’re going to be a great poker player, you better surround yourself with great poker players. Bodnar was kind enough to create this page listing resources for the topics and authors he discussed during this week’s podcast. Seriously, check it out, there is some solid research behind everything he discussed. This guy does his homework! We think all of our Red Chippers can get something out of Bodnar’s The Science of Success podcast, and in the meantime, get reading on the psychology of success if you’re serious about winning more money at the tables. Have a question about the science or psychology of success in poker? Discuss this episode now in our forum. Not sure who the narrator is, but the questioners were excellent.